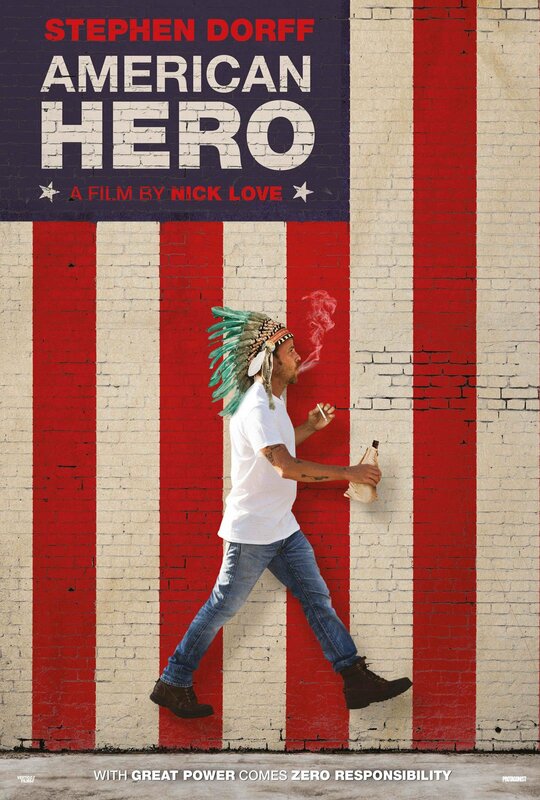 Nick Love’s ‘American Hero’ Hitting Big Screens in December!!! ‘American Hero‘ is coming to the big screens and VOD this December. It’s vibe is superhero meets Jay and Silent Bob level of slackerness and saves the world, err New Orleans. If you have a ton of talent and end up squandering it more than using it, you can relate to the self-loathing hero, Melvin (Stephen Dorff). A man with super powers, an anti-superhero for the ages who spends his days, squandering his gifts with booze, broads, drugs and lives his life as a small-time crook. He’s failed at everything he attempts to do, including being a parent to his son. A brush with death makes Melvin change his mind and turn from his lackadaisical lifestyle with a desire to fight the crime that his giving his streets of New Orleans, a bad name. In this vein, he brings his best friend into the game as his sidekick, Lucille (Eddie Griffin). This super-slacker film comes from Nick Love (‘The Sweeney‘) and Vertigo Films with Screen Media Films planning to distribute the pic starting December 11 when it will be in theaters and VOD. ‘Leatherface’ is ripping up the Blu-ray World! What Are You Getting For Christmas? Find Out In ‘Red Christmas’!!! This entry was posted on Tuesday, November 3rd, 2015 at 7:47 pm	and is filed under Film, News. You can follow any responses to this entry through the RSS 2.0 feed. You can skip to the end and leave a response. Pinging is currently not allowed. « Check Out The Trailer For ‘By The Sea’ from Angelina Jolie Pitt and Brad Pitt!! !